Rapid response leak detection, structural and water damage survey, and water damage repair service in and around London. Building Response provide a rapid response leak detection, structural and water damage survey, and water damage repair service in and around London. Our water damage services in London and the home counties range from ultrasound and thermal imaging leak detection, damp surveys, mould surveys and treatment, to water damage restoration and structural repair. From a leaking or burst water pipe, a roof leak causing minor to major water damage, to extensive fire damage restoration or property renovation. Our highly experienced professional teams can handle any size project, big or small. Our forensic water damage report services provides documentation that can be used for insurance purposes as well as for legal purposes. We aim to carry out any and all works with the minimum of disruption to you, your business, or family. Building Response is a service brought to you by Building Response Ltd. Our aim is to provide a rapid response to your water damage or fire damage needs, providing you with all of the evidence and paperwork you may require, and a highly effective emergency building repairs and restoration service. Building Response Ltd management are highly qualified and highly experienced, stemming from family business roots, supported with expert training in advanced leak detection methods, building pathology, and structural restoration. When disaster strikes, Building Response are ready to act right away! We a provide a range of building repair and residential and commercial renovation services. You can hire us to carry out minor repair works like repairing and plastering cracked ceilings or painting and decorating, to major renovation and restoration services. More often than not, we are able to restore your property to better condition than it was before the disaster! We offer our property maintenance services throughout London and the surrounding areas. We can also make arrangements to service you outside of this area, call us for further details. As part of our comprehensive service, Building Response offer a total project management solution, this means that we can manage your project from start to finish which includes liaising with relevant parties like, your insurance company, local planning or building authorities and complying with CDM regulations or other legislation as necessary. Surrey Areas: Ashstead, Banstead, Cambereley, Caterham, Carshalton, Chessington, Chertsey, Cobham, Cranleigh, Croydon, Epsom, Ewell, Esher, Farnham, Godalming, Godstone, Haslemere, Oxted, Kingston upon Thames, Guildford, Leatherhead, Lingfield, Oxshott, New Malden, Mitcham, Norbiton, Raynes Park, Surbiton, Redhill, Reigate, Staines, Sutton, Tadworth, Walton, Woking, Weybridge, Wallington. London Areas we cover are: Acton, Angel, Aldgate, Battersea, Balham, Barnet, Bayswater, Barnes, Belgravia, Bexley, Brent, Bromley, Bow, Bristol, Camden, Canary Wharf, Chelsea, Clapham, City, Croydon, Elephant and Castle, Ealing, Earls Court, East Sheen, Enfield, Euston, Greenwich, Green Park, Hackney, Hammersmith, Haringey, Harrow, Hampstead, Heathrow, Hounslow, Hyde Park, Islington, Kensington, Kew, Kilburn, Kingston, Kings Cross, Knightsbridge, Lambeth, Lewisham, London Bridge, Maida Vale, Marylebone, Mayfair, Morden, Newham, Notting Hill, North Kensington, Paddington, Parsons Green, Piccadilly, Pimlico, Putney, Richmond, Shepherds Bush, St Johns Wood, South Kensington, Southwark, Southfields, Swiss Cottage, Tooting, Tower Hamlets, Victoria, Waltham Forest, Wandsworth, Watford, Wapping, West Kensington, Wembley, Westminster, Wimbledon Woolwich, Uxbridge. 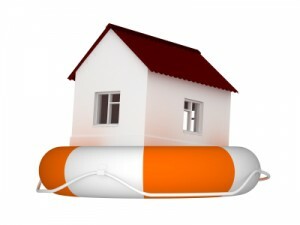 Are you noticing tell-tale signs of forthcoming water damage? Worried about the health of your property? Prevention will always be better than cure. That’s why we offer our customers a “building health check” to ascertain if there are any problems that you need to be made aware of! Sick building syndrome is an ever increasing problem and early intervention is key to the life-span of the property. Our property restoration process is approved by major insurance companies. We can guide you through your buildings insurance claim in a quick and hassle free format. We use only the most up-to-date technologies and pride ourselves in our innovative approach to building repair and restoration.